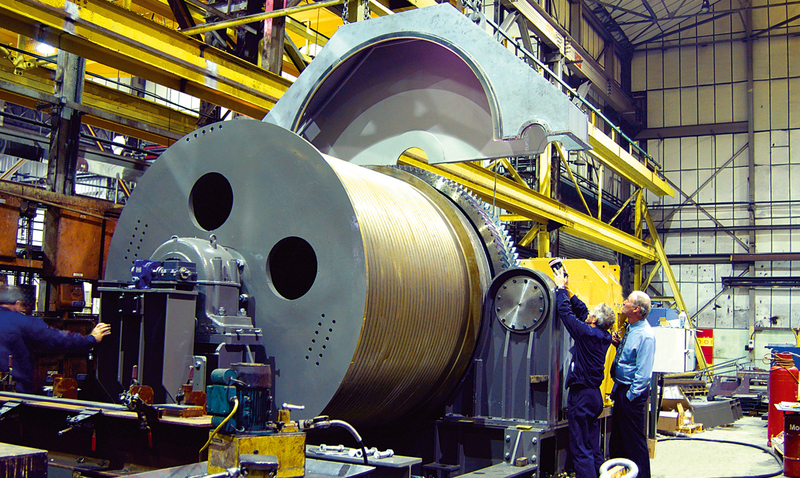 Qualter Hall was contracted by VAI to design, supply, install and commission a new skip hoisting winch for the complete rebuild of No 5 Blast Furnace at the Corus, Port Talbot works in South Wales. The winch is designed to hoist fully laden skips at a linear speed of 3.05 m/sec, and is equipped with twin 820kW drives providing 100% redundancy, for continued operation in the event of a failure on either drive. The work scope included removal of the existing winch originally provided by a Qualter Hall company (Needham Bros & Brown) as was the winch on the No 4 Blast Furnace, which is still in operation. ©copyright 2019 Qualter, Hall & Co Limited.